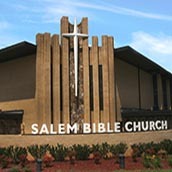 The history of Salem Bible Church is eminently worth recording. We who are beneficiaries have reasons for showing our deepest appreciation for those spiritual ancestors from whom we are descended — our anointed sisters and brothers in Christ. 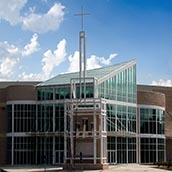 Armed with only God’s word as their blueprint, a faithful core of believers acknowledged the need for a place to worship. This vision became a reality in 1891 when a committed and courageous group of Christians met in a small house on Hawkins Street in Atlanta, GA.
Pastored by some of God’s most dedicated and evangelistic ministers of their time, the steadfastness of these men, who saw with burning clarity the vision God placed before them, contributed to the growth of this spiritual institution. We are grateful to these Christian soldiers for their rich spiritual insight. Rev. C. L. Wilder (1918 – 1935) Increased membership to over 200. Salem was rebuilt in 1928, destroyed by fire in 1935. Rev. C. S. Jackson (1935 – 1963) Launched Salem’s second largest building effort and constructed a new church on the same site. Salem was blessed with a membership of approximately 700. For more than 40 years of service, Pastor Jasper Williams, Jr. has seen a remarkable work grow under his leadership of Salem Church. 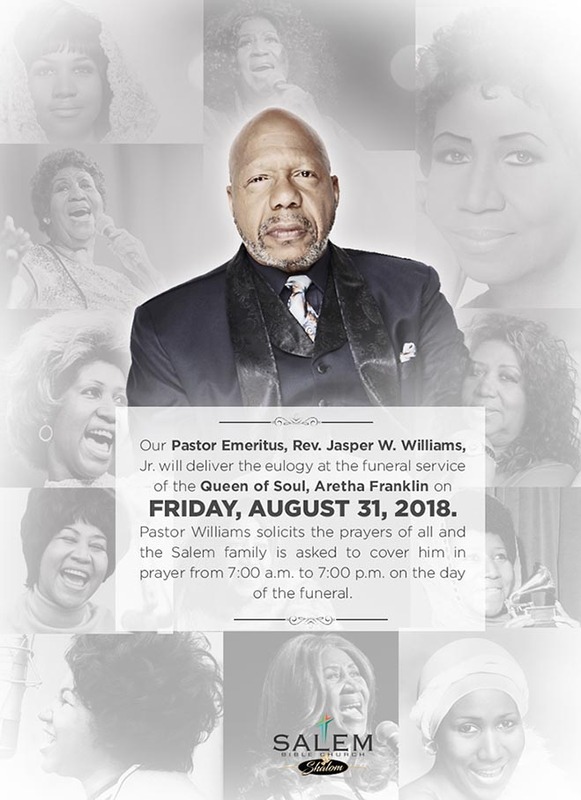 He accepted the call to pastor Salem in November 1963. With his gift as an electrifying orator, he quickly earned the name “Son of Thunder”. In a short time, the membership tripled, he led Salem in building a large new brick sanctuary, and moved the church to Baker Road. During the early years of the church, every available cent was put back into its growth. He traveled extensively preaching revivals throughout the nation and received much notoriety and success. Under Pastor Williams’ leadership, the church has implemented some of the most exciting and holistic yet spiritually sensitive ministries. Some of these include: Welfare Assistance Program, Christian Education Department, a myriad of community based programs, an effective counseling venue, housing for the elderly (Alice Williams Towers I & II), and a single parent support system, along with many, many other effective ministries. People must be empowered economically through the blessing of God but be wise in handling their monies. In the ‘80s Pastor Williams began preaching economic empowerment. To this end it remains a vision of SBC to establish The God First Credit Union. 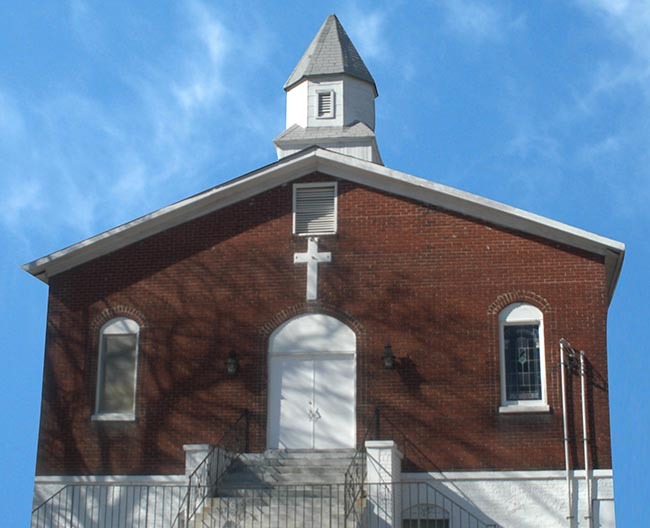 Under Pastor Williams’ tenure the Lord has “moved mightily” in souls and in structures. A Christian Education building has been built; the Mother church, Salem West, is renovated, and an Eastside congregation has been established with a structure to seat 3100 worshippers, along with many additional parcels of land, 120+ acres now await development. 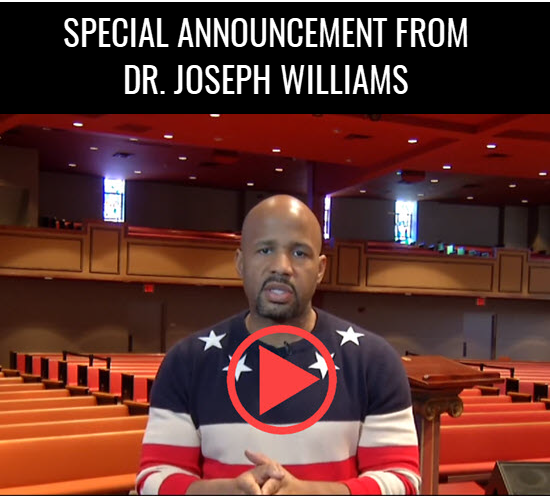 He shares the leadership with his son, Dr. Joseph Williams. Together they pastor “One Ministry in Two Locations.” They are a ministry team filled with God’s glory, His word, united in His love, and nothing can stop them. They stand on God’s promises, which draw them toward the future with compassion and certainty. We are blessed with competent, compassionate, courageous, and committed Christian members. We believe God will hold back the forces of evil in response to the prayers of His people until His work is done!